Recently my Relief Society Sisters had a super fun week night activity called "This Little Piggy." This little piggy goes to market. This little piggy went "wee-wee-wee" all the way home. We set up five stations in the auditorium and labeled each one with a line from the Piggy Poem. 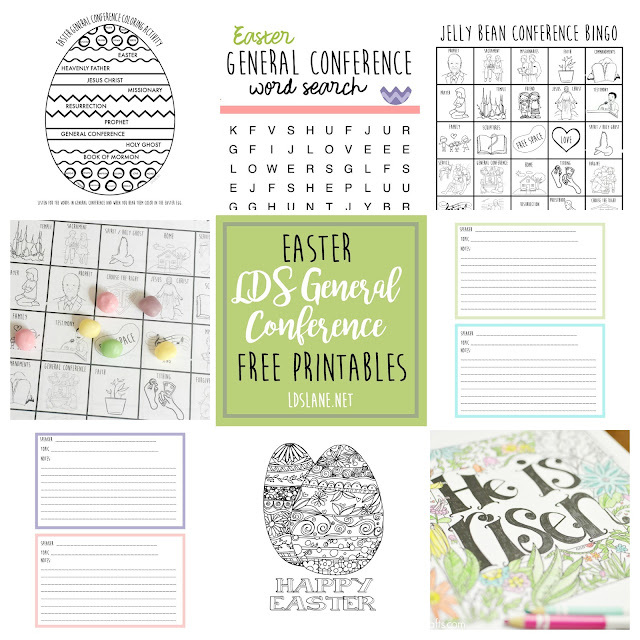 I have included some free printables with this post to make it easier to duplicate/adapt this activity for your Relief Society or Young Womens organization. The printables can easily be printed up to 11x14 size. -Determine the needs of your sisters and what information they could best use at each station. -Considering the talents and strengths of sisters who could teach the needed information. -Call sisters in the ward to teach at each station...no longer than 7-10 minutes. Help the teaching sisters develop a handout containing the information they will share. For this station we asked one of the sisters who is a great bargain shopper to talk about finding good deals. 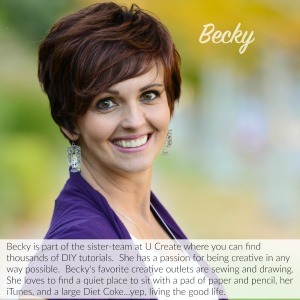 She spoke about couponing, digital apps, thrifting and a budget friendly vacations. She also had a handout with all the information she talked about so the sisters had something to take home for reference. For this station we asked a sister who is proficient at keeping her home organized to share some tips and tricks with us. She spoke about organizing toys, junk drawers, etc. She also talked about simplifying and donating to those in need. Again, the sisters left this station with a handout of everything that was talked about. You could also have this station be about Family Home Evening or create a quick & easy craft for the home. This station was our dinner. We ate roast and had a great dinner and conversation. If you didn't want to do dinner, you could always have this station be a focus on recipes or cooking with food storage or something really useful like that. For this station, we had a quilt set up in the corner which the sisters could help us tie for a charitable donation. It was a great time to sit and chat for a minute until the other stations got done. Some other great ideas for this particular station would be to have a missionary writing area with pen, paper and envelopes, sewing NICU blankets for the hospital, doing any other humanitarian project. This wasn't really a station. We gave each sister a gift to say "Thank you for coming." They all went home with little treat/dessert. We had such a fun night of learning and visiting with each other. As always, we gave a small thank token to all the teachers who prepared in advance for this night to be a success. I would love to hear how you modify this activity to fit the needs of the sisters in your ward/branch. Please leave a comment telling us how it went and what you did differently. This is perfect!!!! Thanks so much for sharing! I am glad you like it. Thanks! So, here's a good rendition of it. We're here in South Africa serving a mission. The sisters in our stake used your theme and had a great celebration. For the dinner we had pig heads. Each ward baked their own head with an apple in the mouth and we ate them! I got the snout. Not kidding. Our whole focus will be on food storage, financial and spiritual self-reliance. THANK YOU for this cute theme! Thanks for this idea! Super cute. 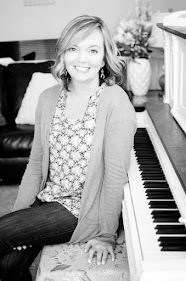 For the "Had None" we chose a couple sisters to talk to us about a time when they felt alone or felt like they had none and shared how they overcame their trial. For the "Roast Beef" we opted for a Taco Bar (Beef...it works right?) We chose to keep all the sisters all together instead of rotating into stations and that worked really well, especially for those sisters who have a hard time moving around. Becky this is amazing. Do you happen to have a download for the invitation? If so, is it editable? Becky, I love this idea. Thank you so much for sharing. Our RS is focusing on Preparing for the Temple and we have adapted the last little piggy to (going home) to be Returning to our Heavenly Father (home). We have not held our activity yet, it is in 3 weeks but this was our little twist. We served French Dip Subs for the dinner, focused on how our sisters can prepare, organize and feel the saviors love as we follow him. Just like Christine stated we are not having our sisters rotate due to variety of age in our ward, glad to hear hers work well. Can you tell me the font you used for the posters? We love this idea, thank you for sharing and creating the piggy pages :) We had similar ideas for classes, but switched a couple up a bit. This little piggy had roast beef, we had a sister in our ward teach about staying healthy and give ideas for simple exercises. This little piggy stayed home, we had a sister do a class on the power of the fast. 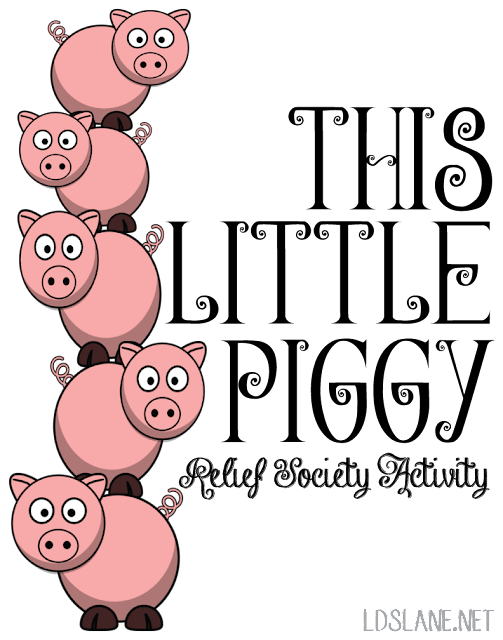 This little piggy went wee wee wee all the way home, we had a sister give ideas for getting back into scripture study and prayer. We will let you know how it goes...we will have ours next week :) Thanks again!! This is a super cute idea, and your printables are darling.